Always on duty against the barrage of interior-wrecking enemies, SeatSavers rebuff spills,coffee splashes, pet hair and anything else the road throws at ‘em. 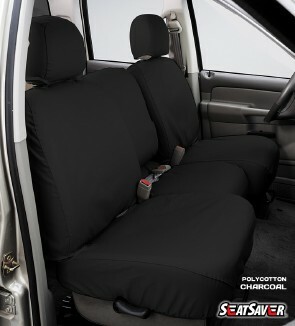 With SeatSavers, your factory seats always stay in pristine condition. Covercraft's special DWR coating repels potential stains while the thick, durable, poly-cotton material takes the abuse. 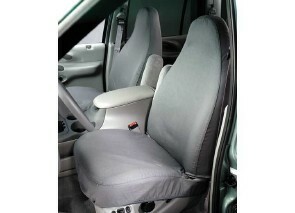 Keep seats looking new for years with slip-on Covercraft -SeatSaver seat protectors. 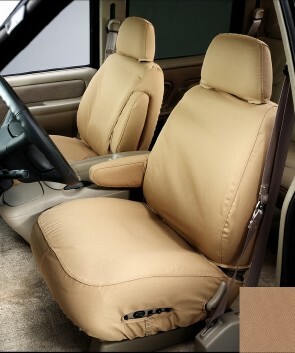 Custom fitted, they provide protection from sun, dirt, outdoor fun, and abuse during the workweek, to help keep seats looking new.